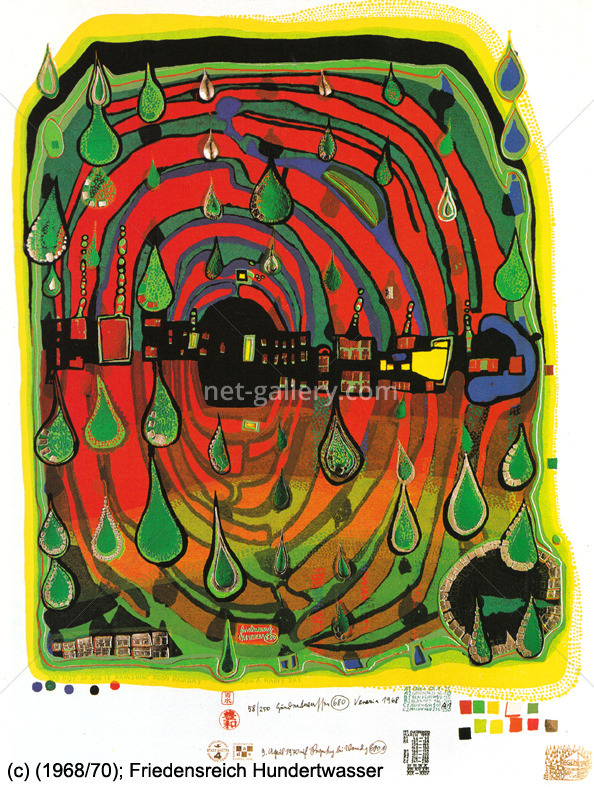 We show you silkcuts, woodcuts and etchings as well as watches, silkscarfs, posters and artprints designed by the artist. 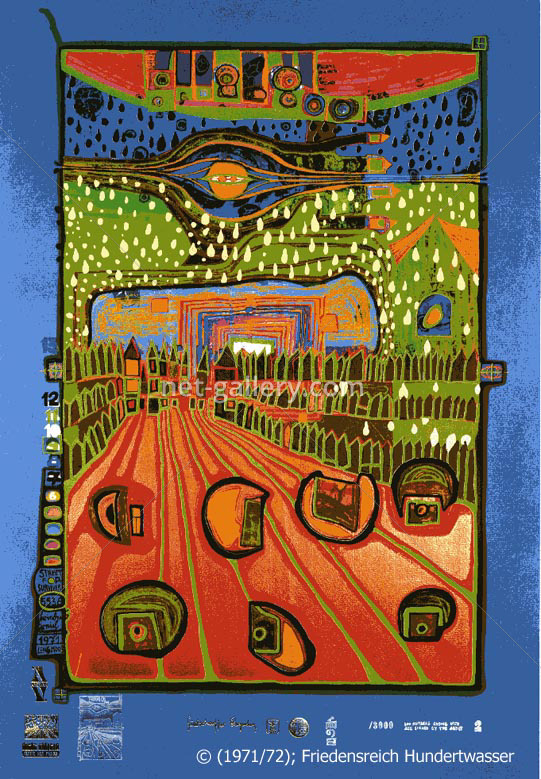 Situated in the artist's native town we feel a close synergy with his work, thus enabling us to provide competent advice to our customers. 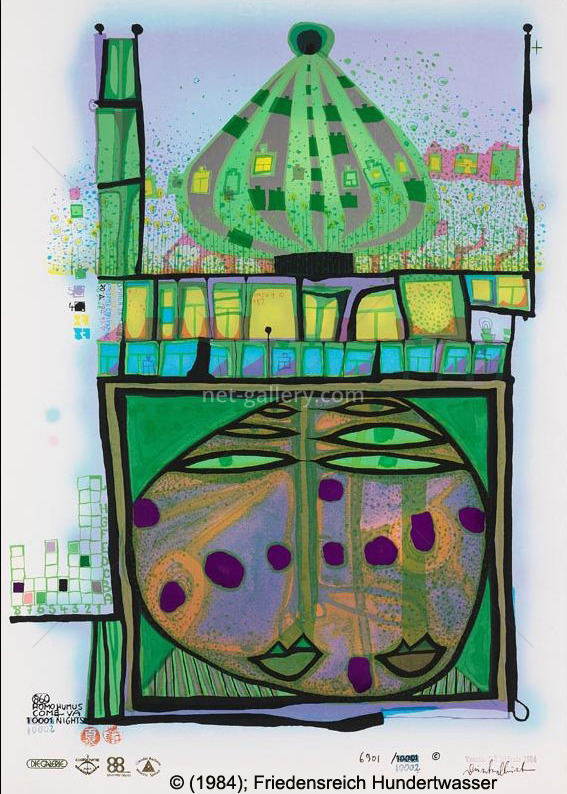 This has resulted from close contact with the artist and his opus for a long time, allowing us to secure the optimum pricing structure. 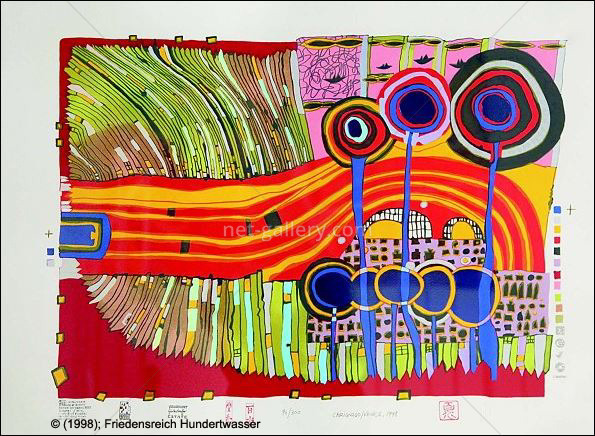 We have extensive connections with collectors, galleries, exhibitions and museums, allowing us to successfully trace and procure long lost graphic arts, rarities and originals. 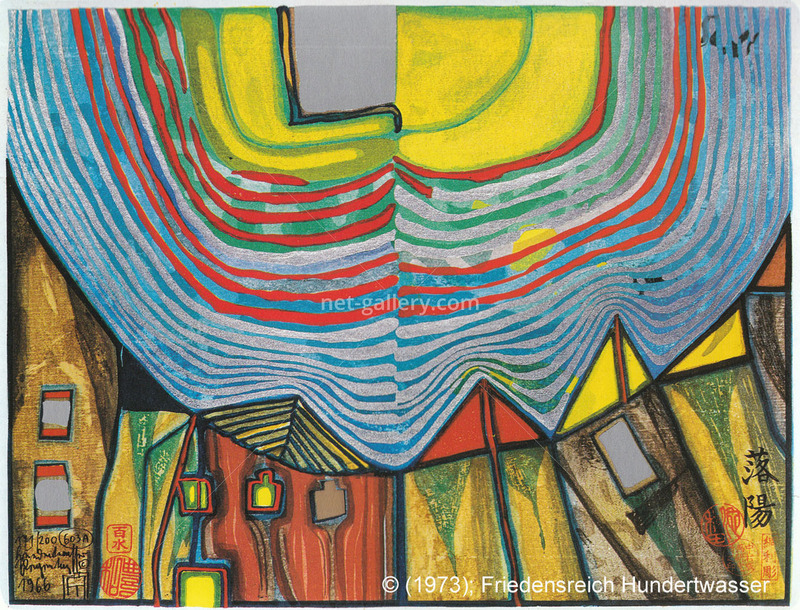 For decades we have been selling contemporary art to a broad spectrum of international art lovers; we use a network of wold-wide contacts. 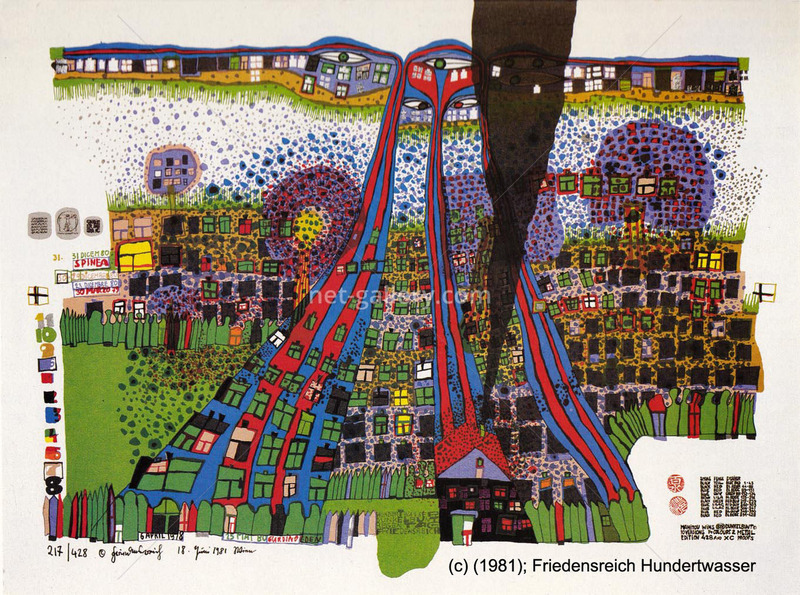 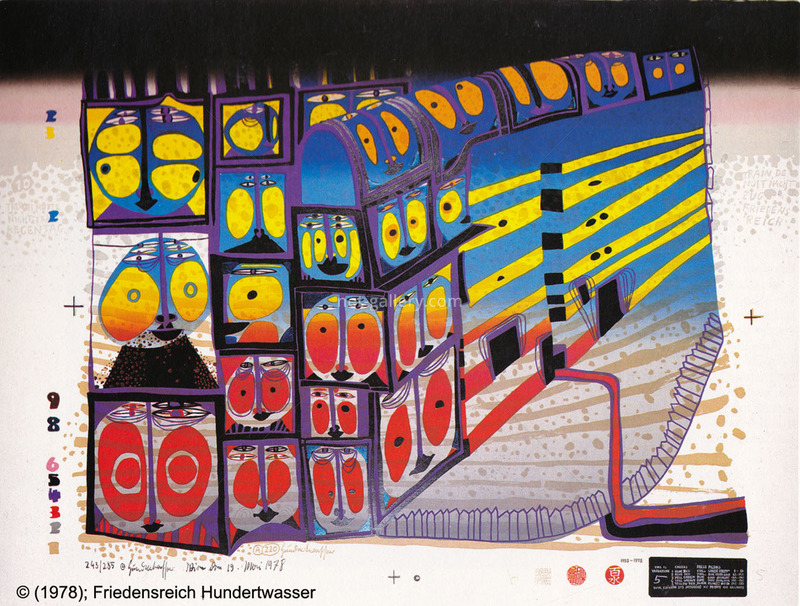 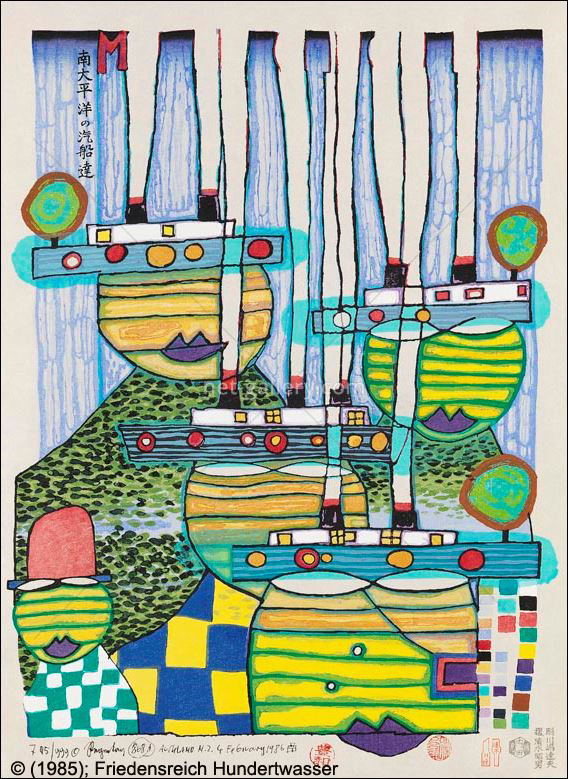 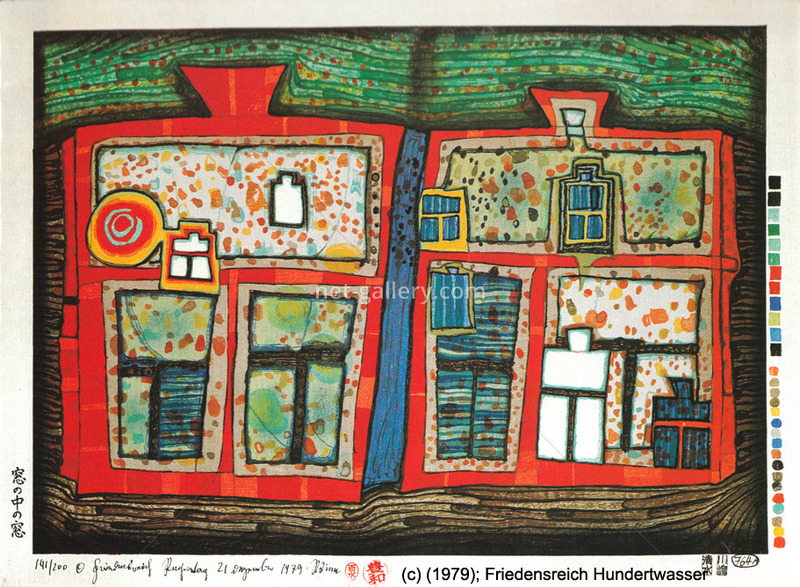 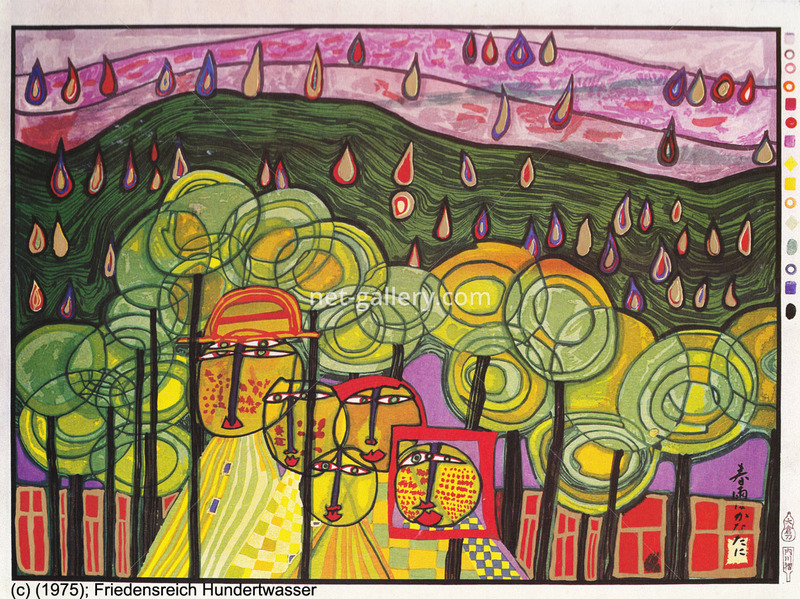 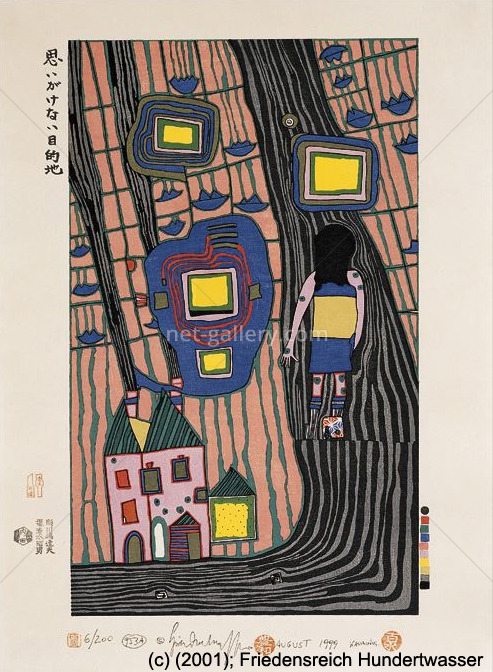 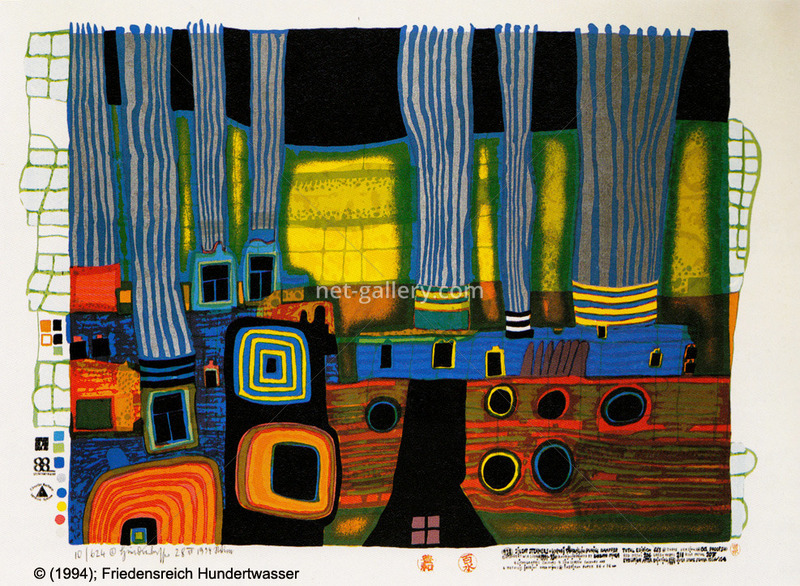 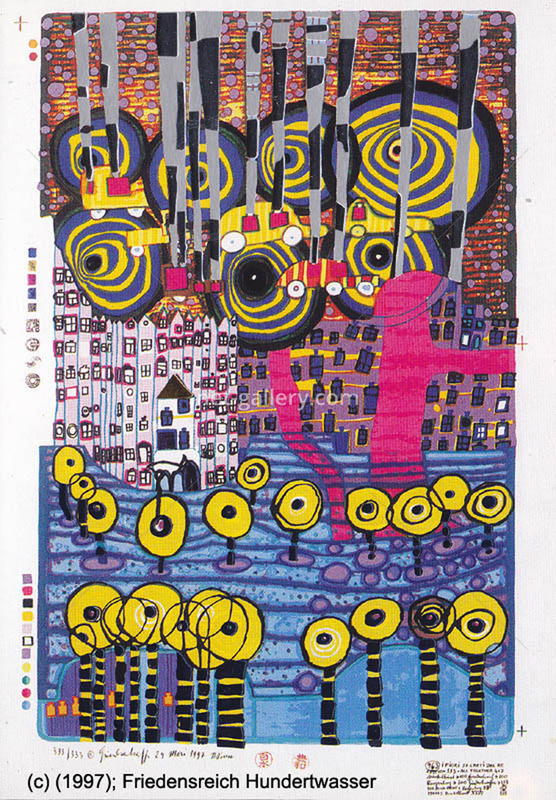 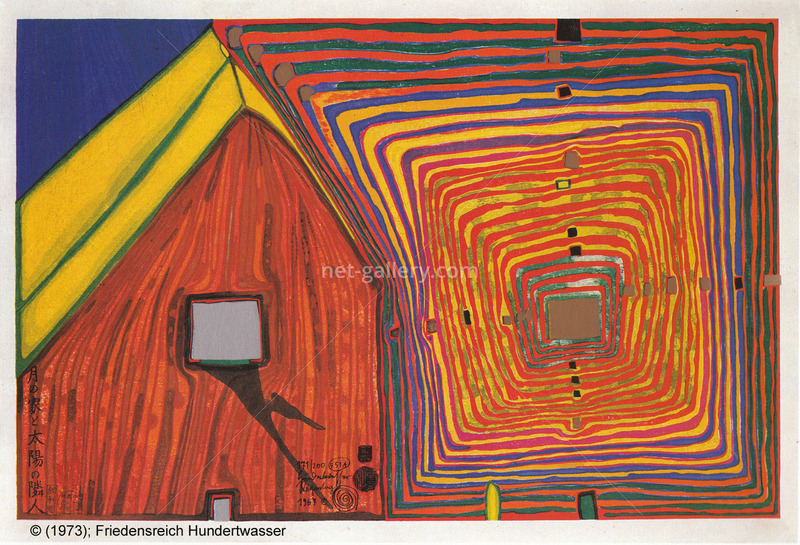 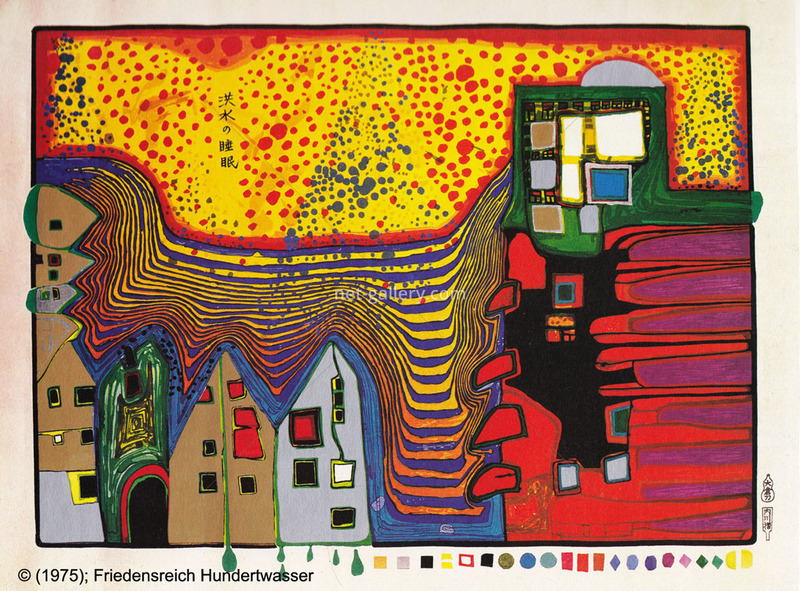 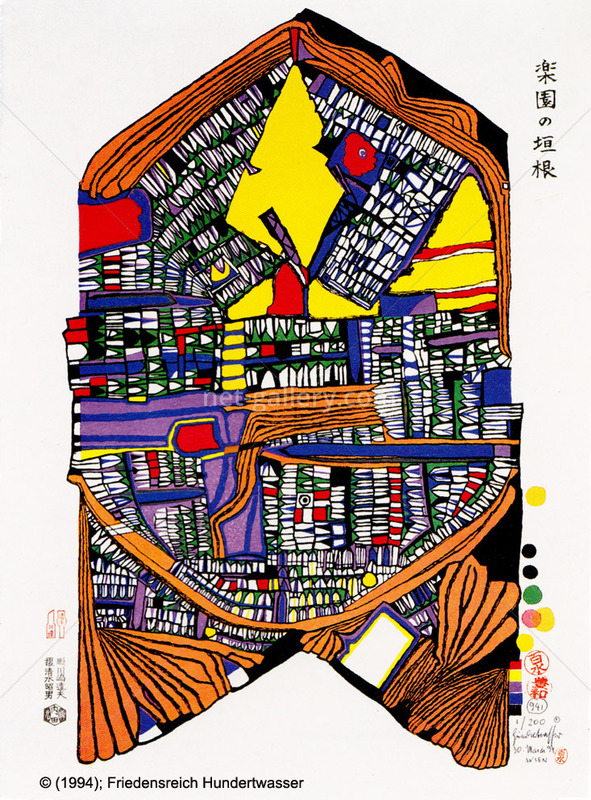 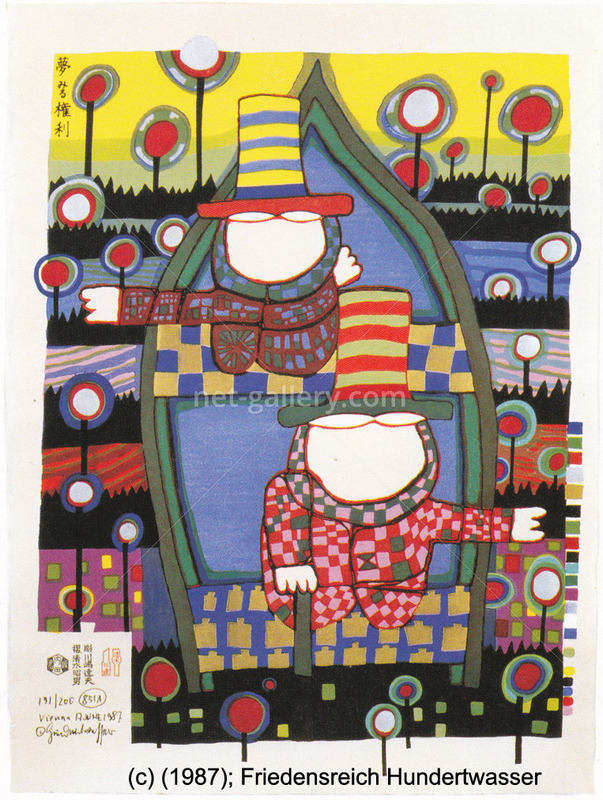 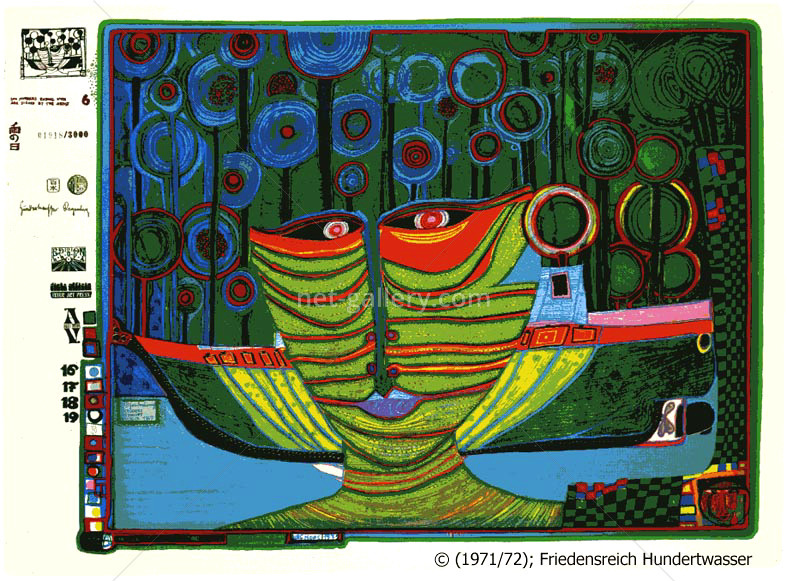 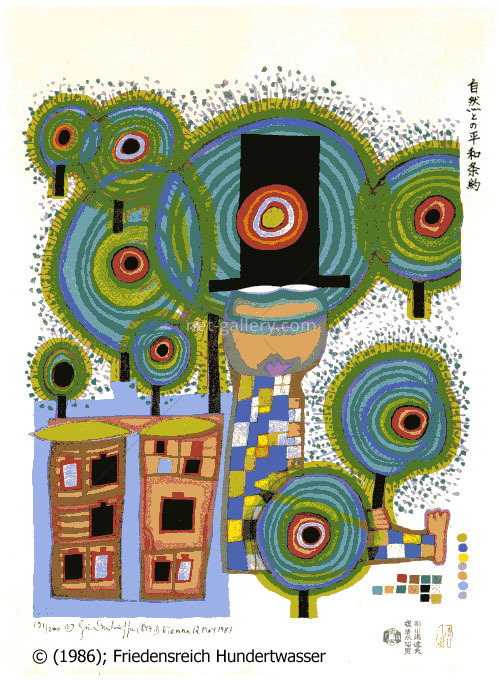 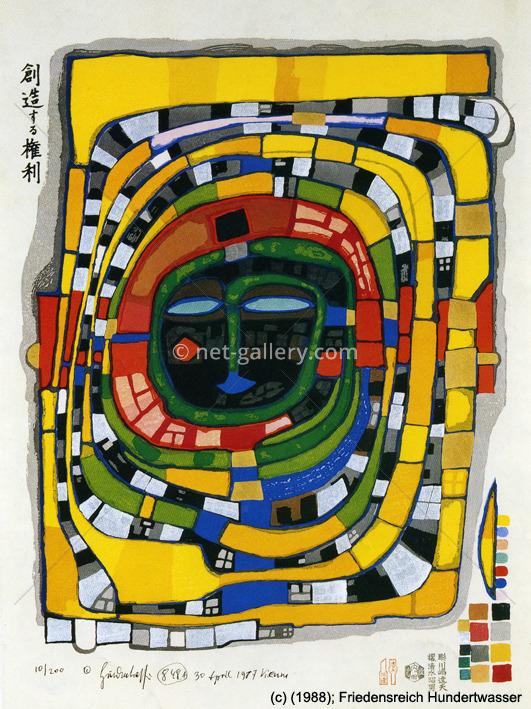 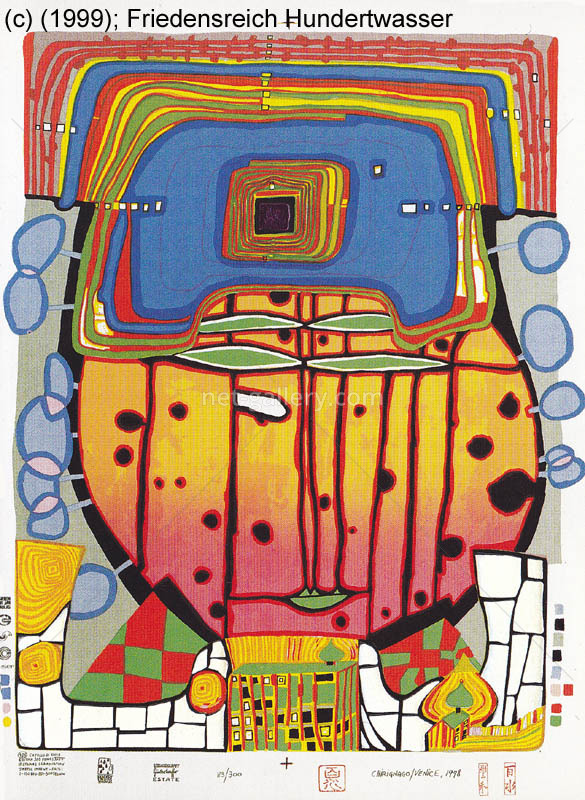 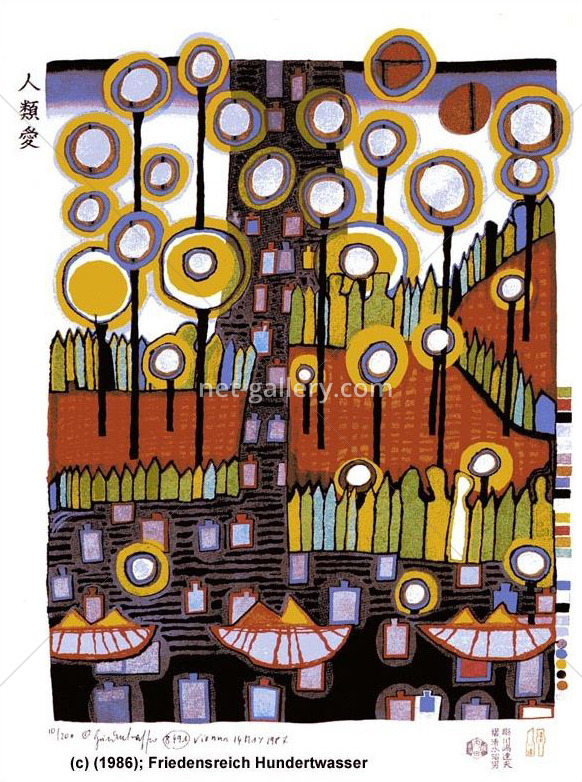 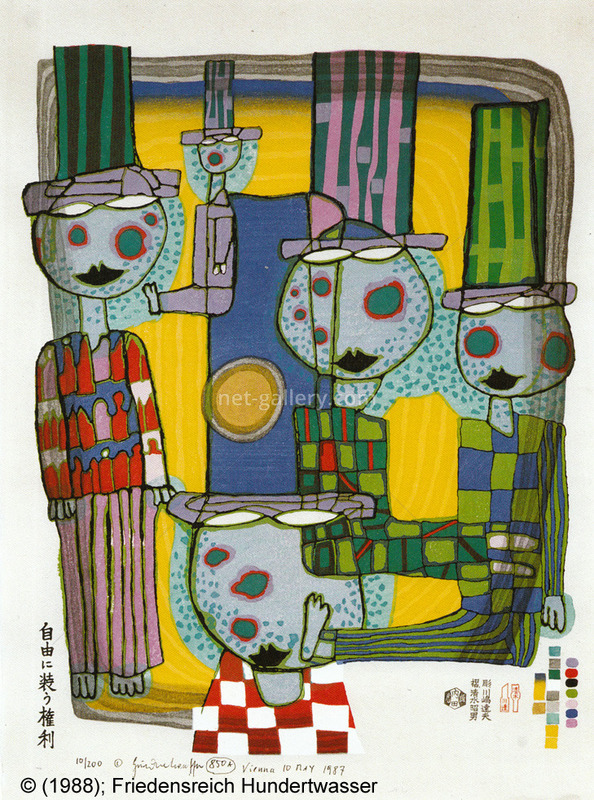 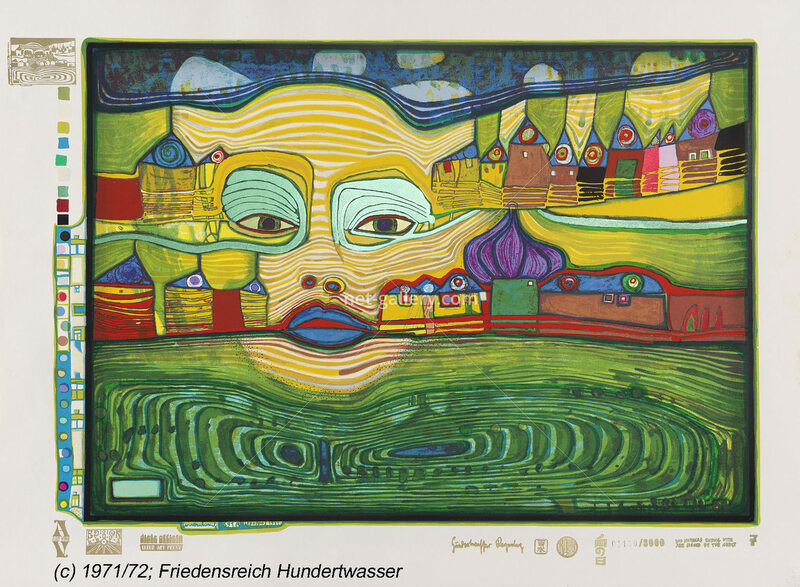 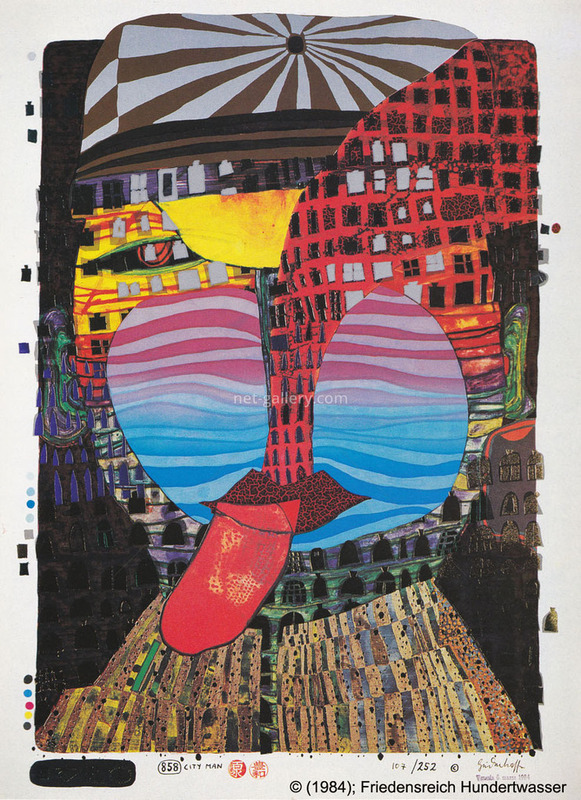 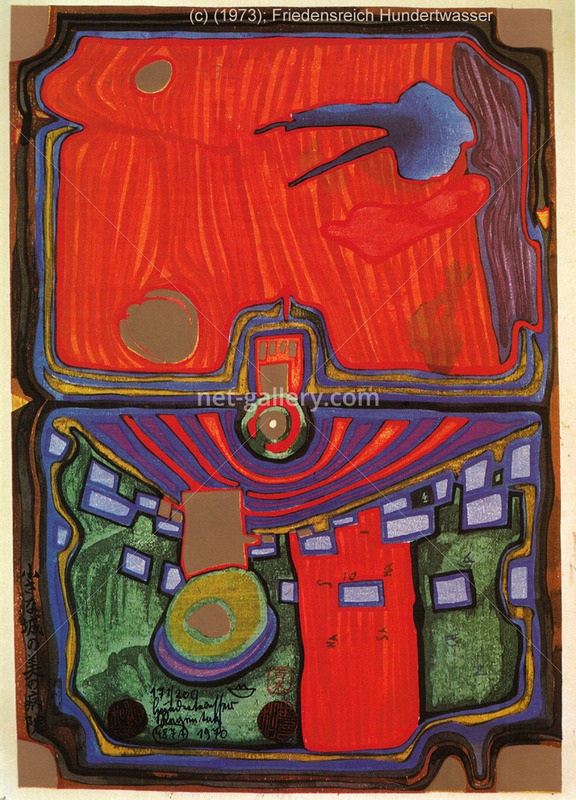 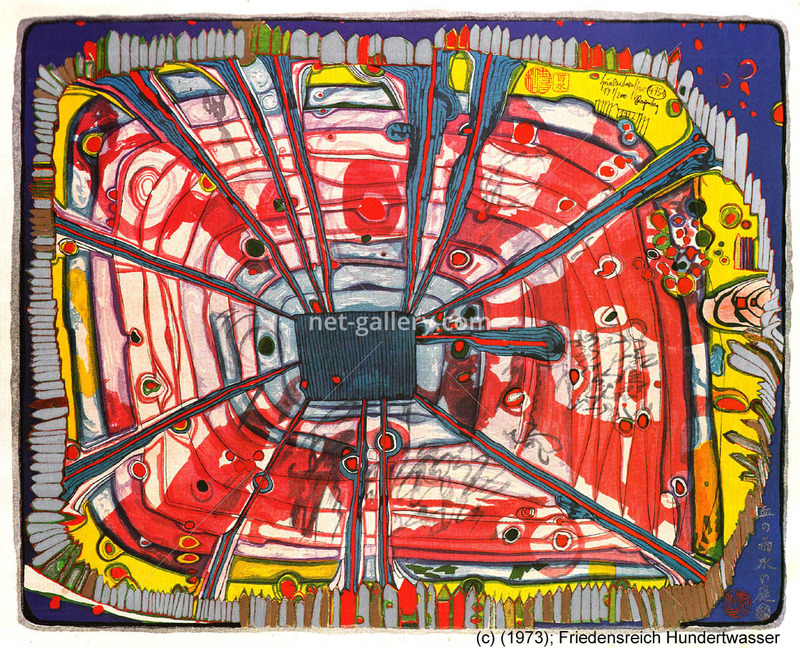 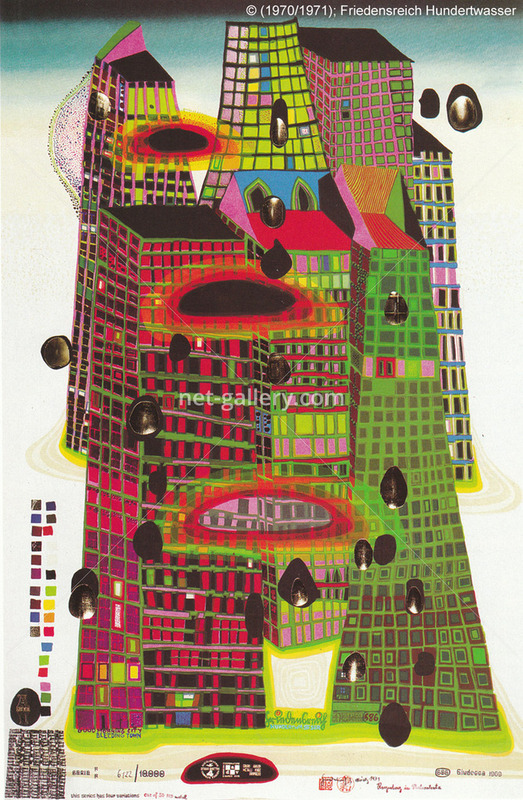 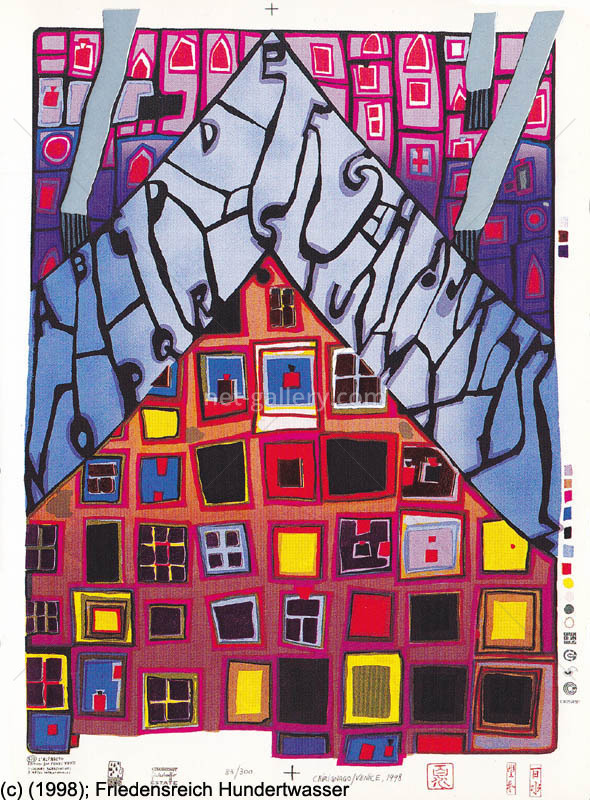 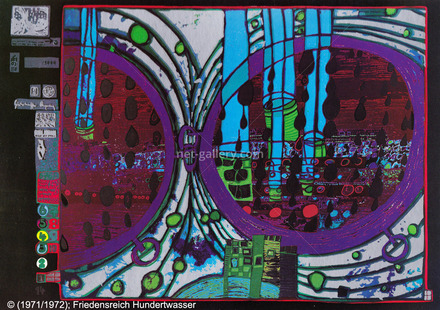 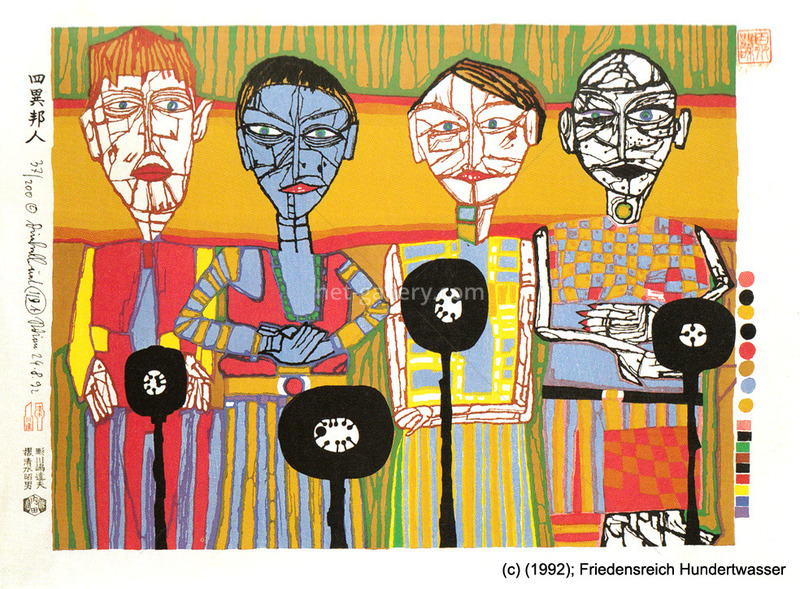 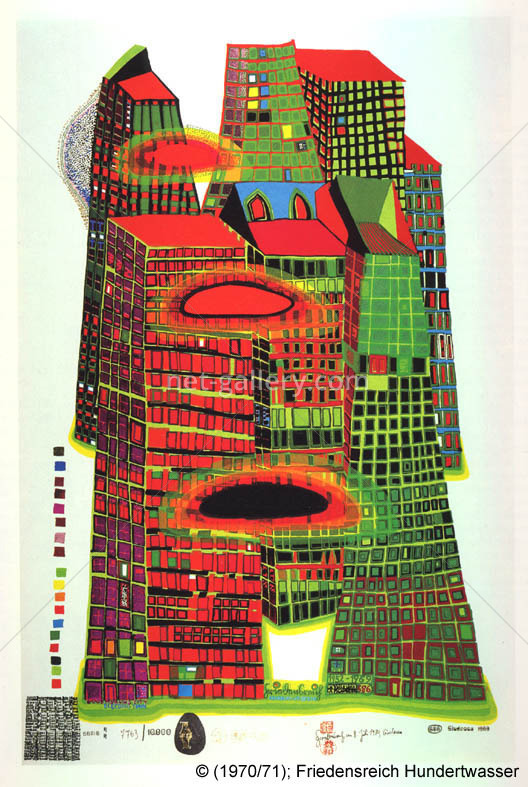 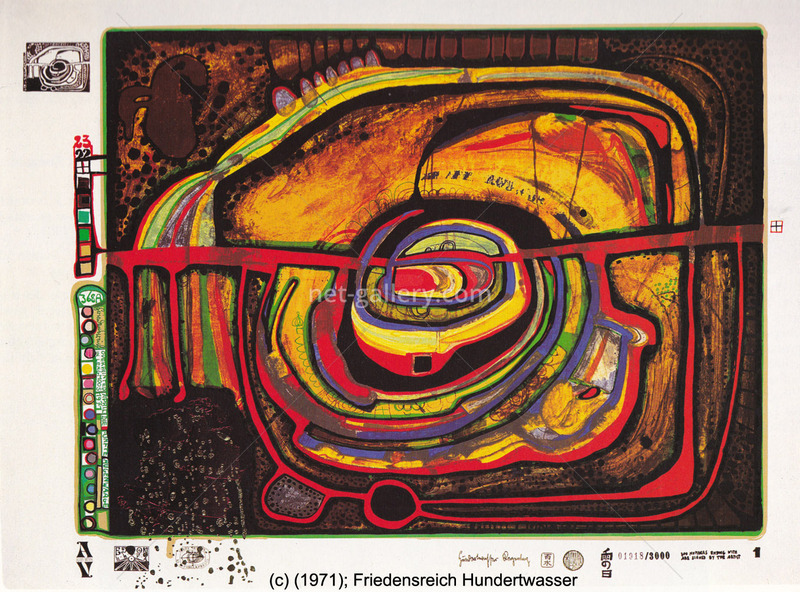 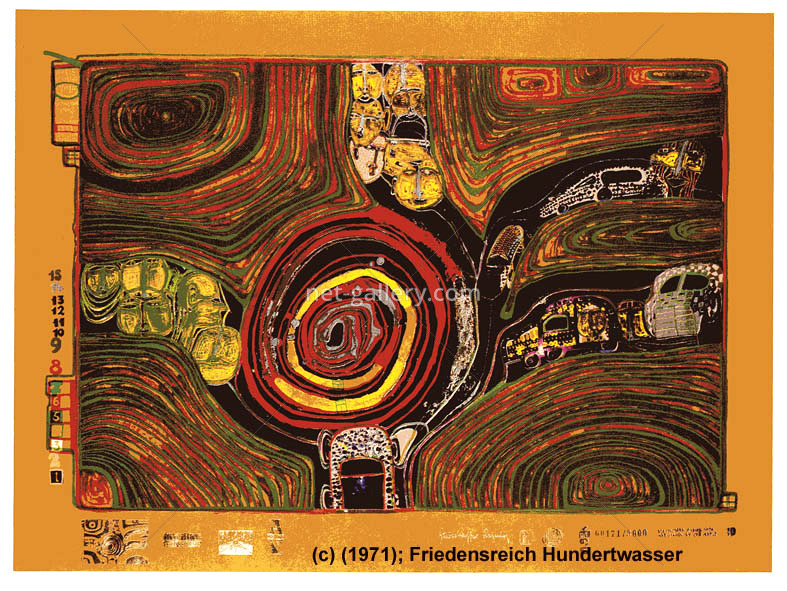 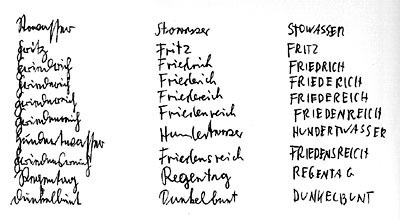 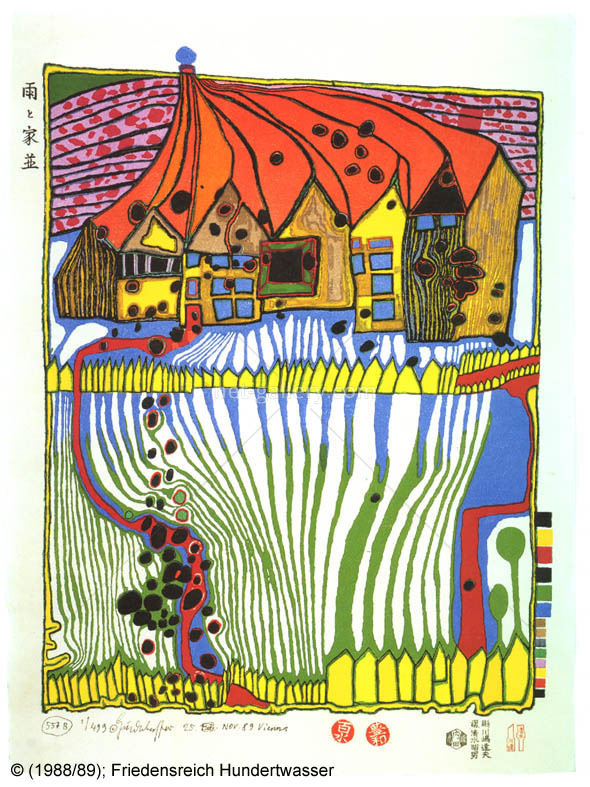 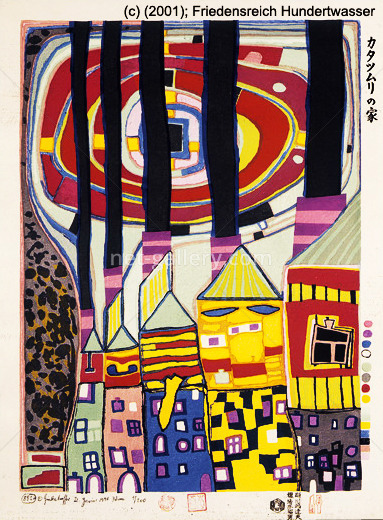 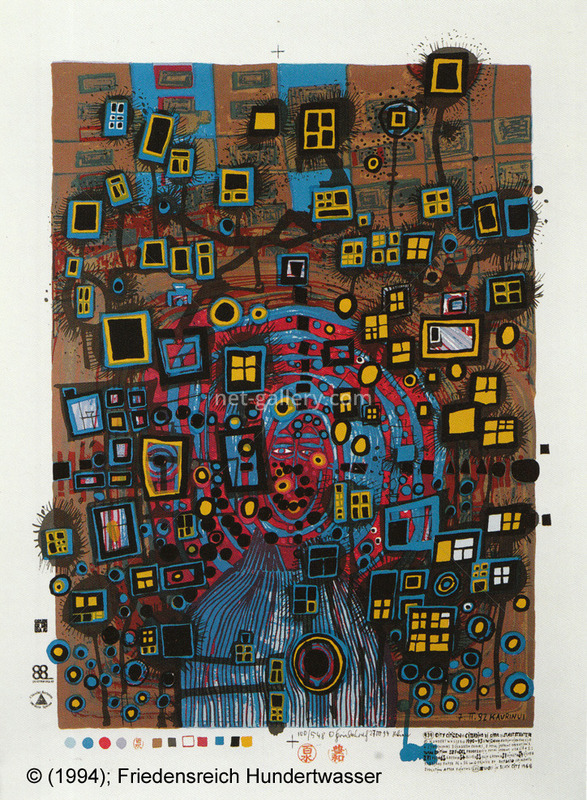 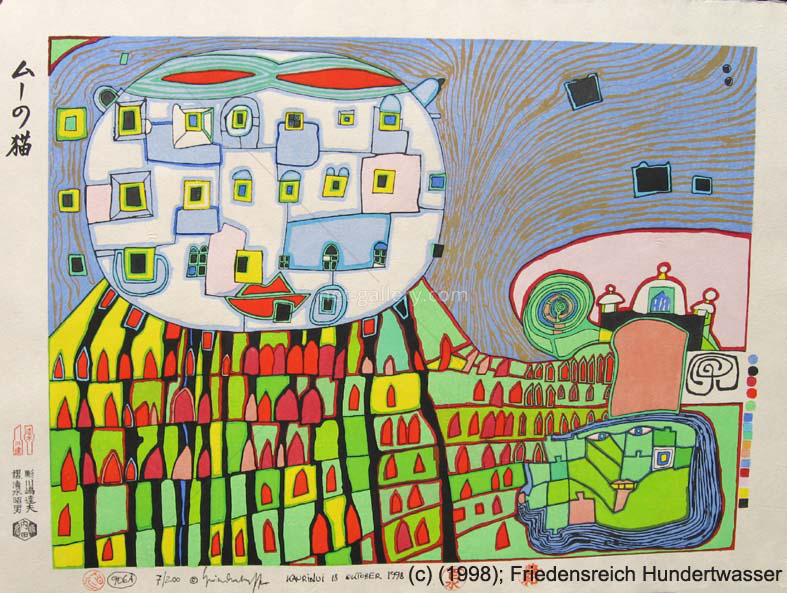 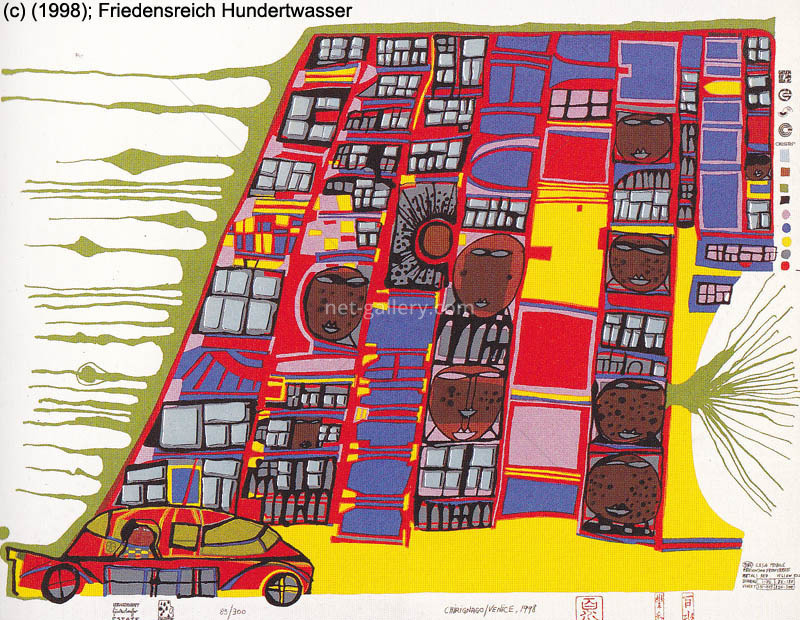 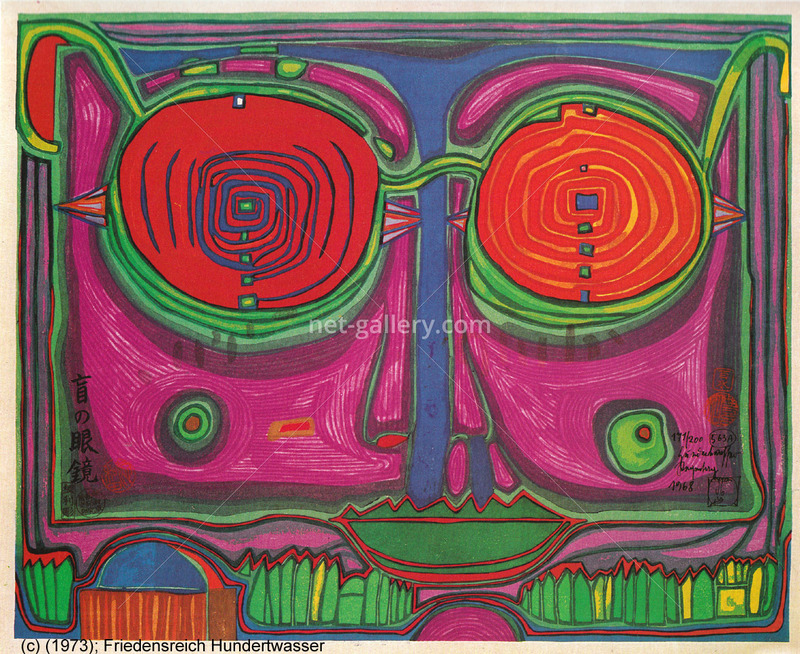 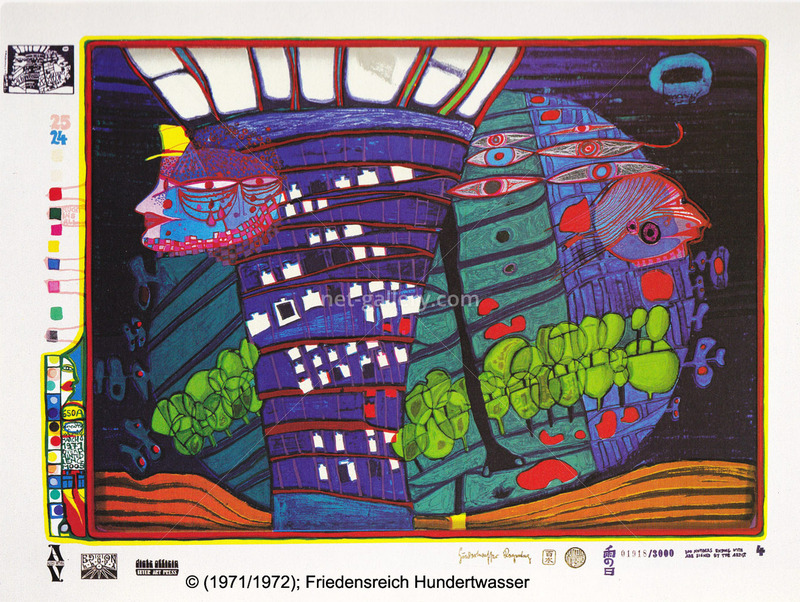 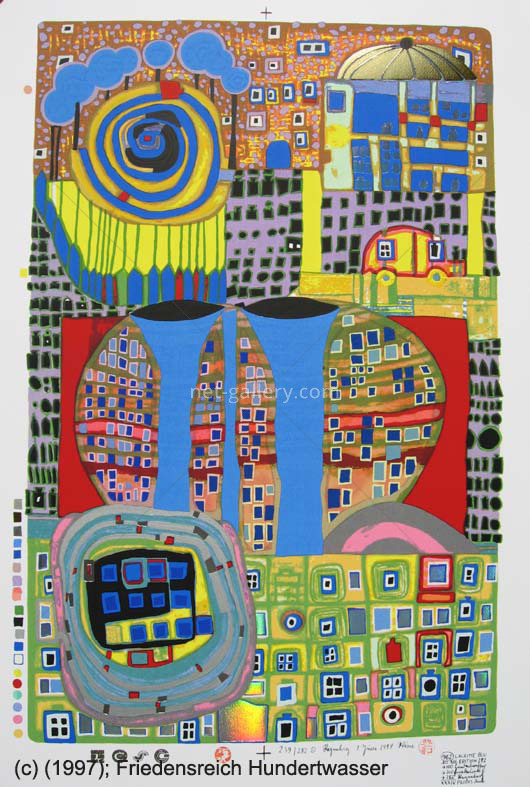 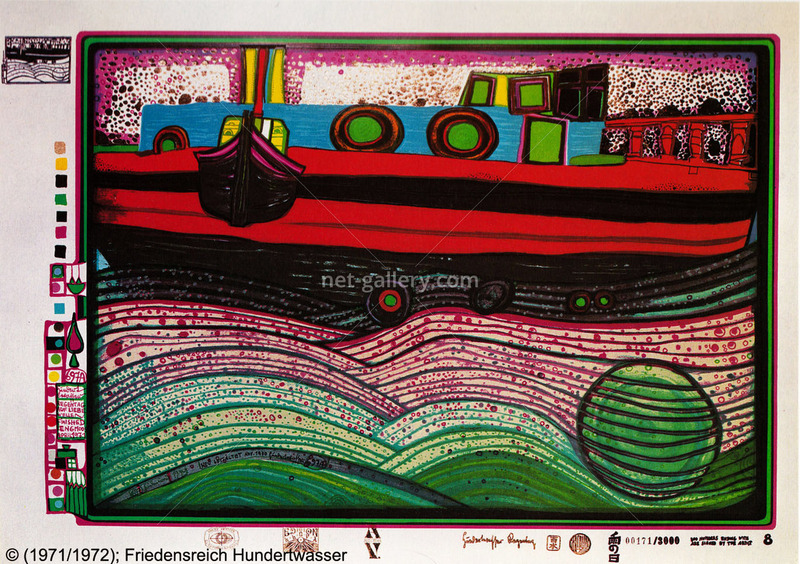 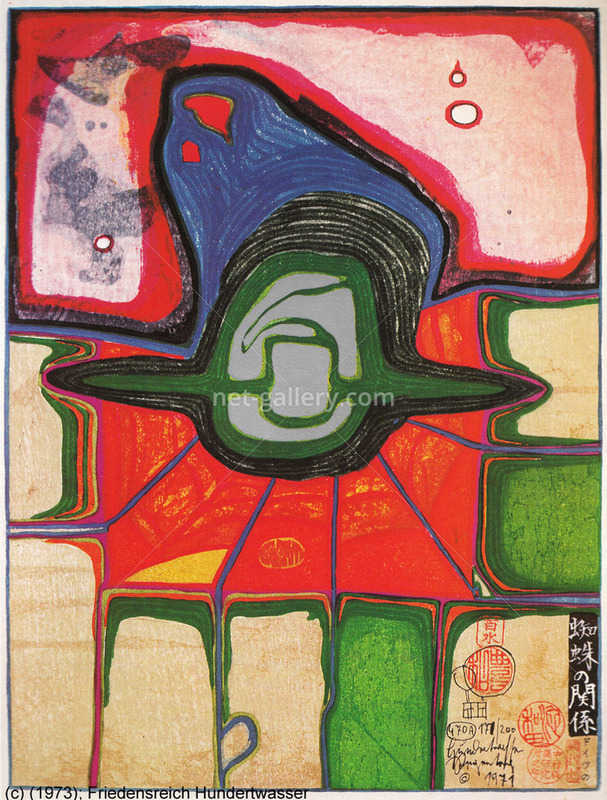 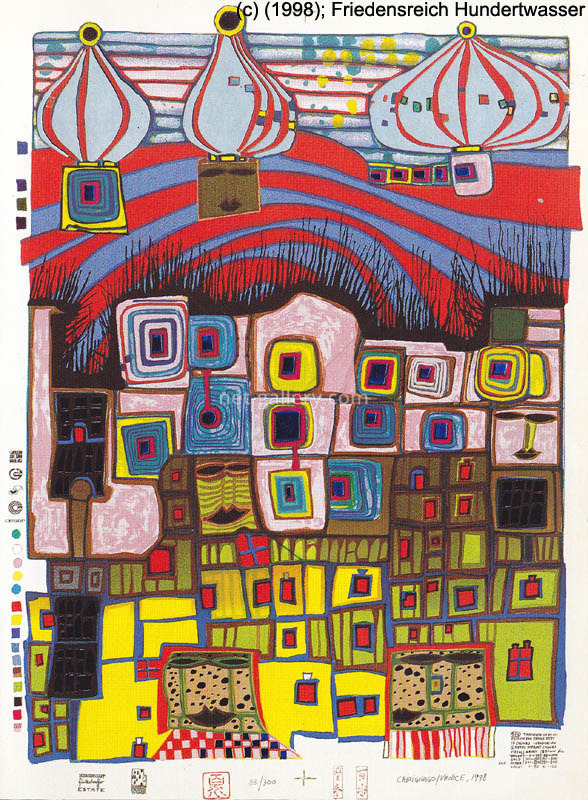 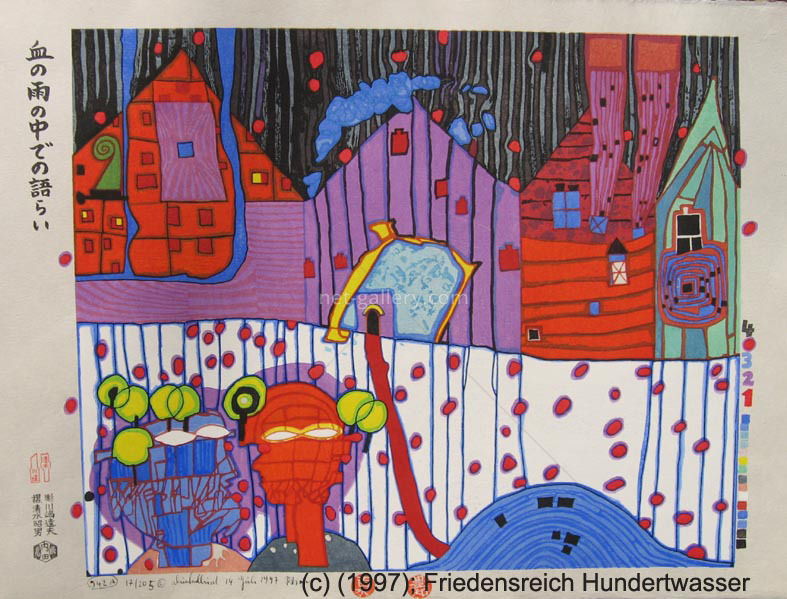 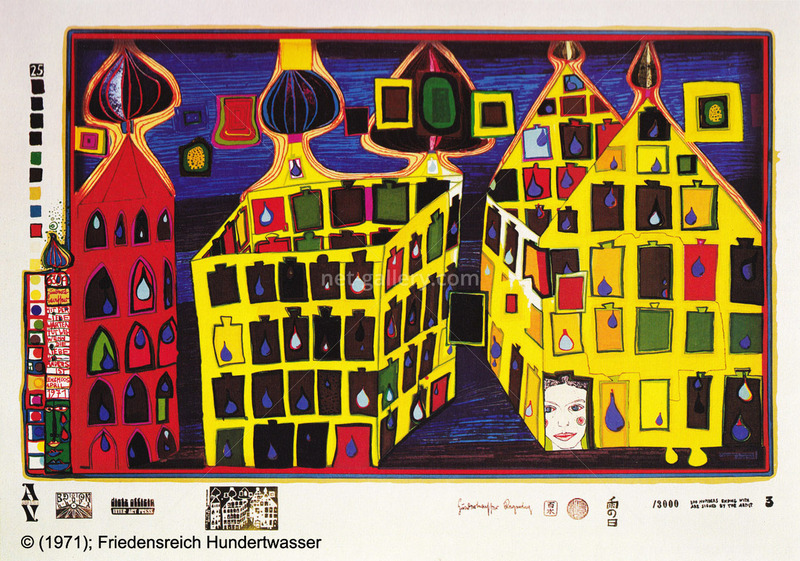 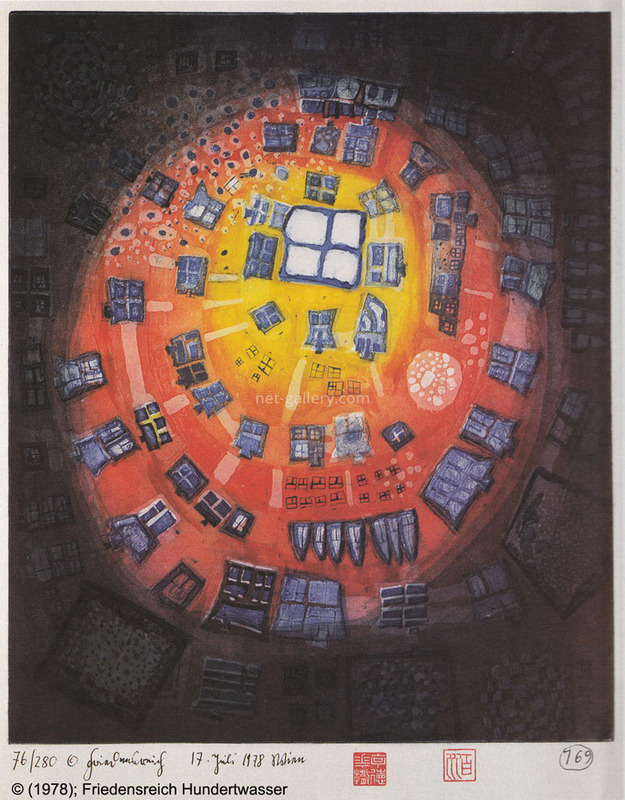 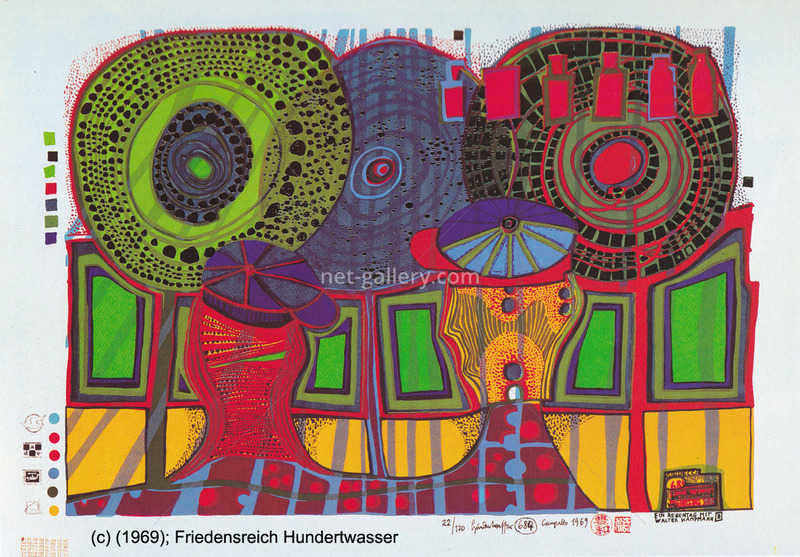 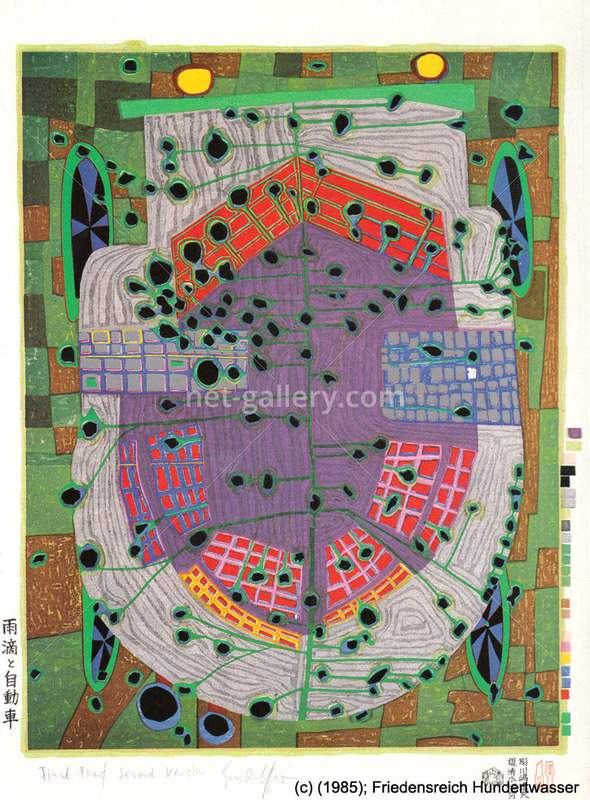 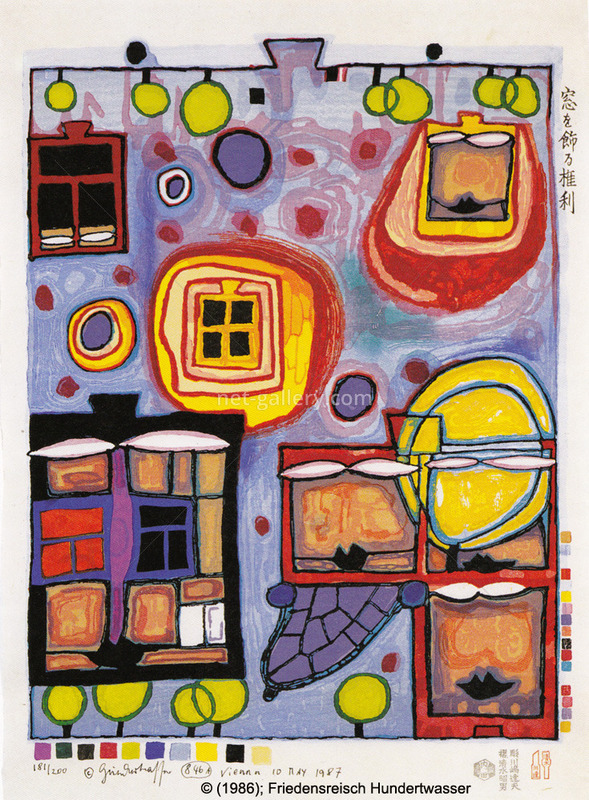 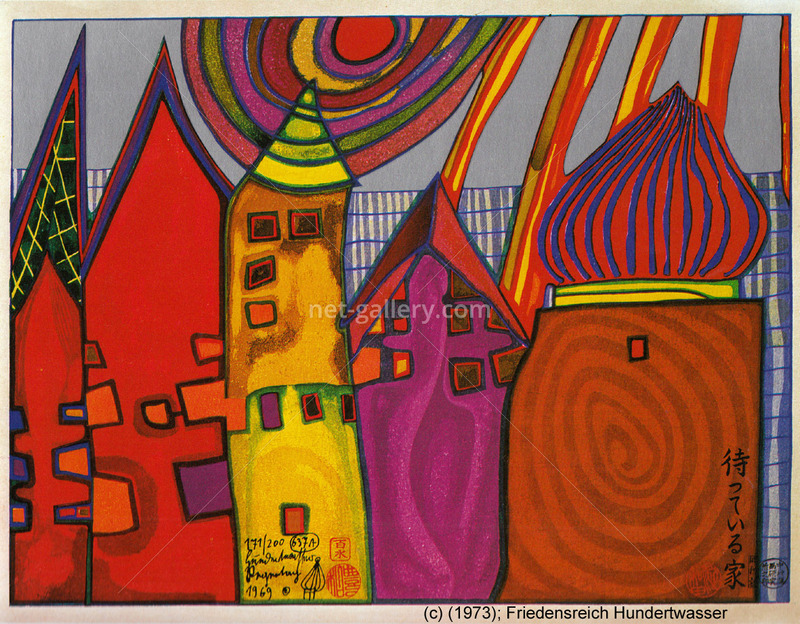 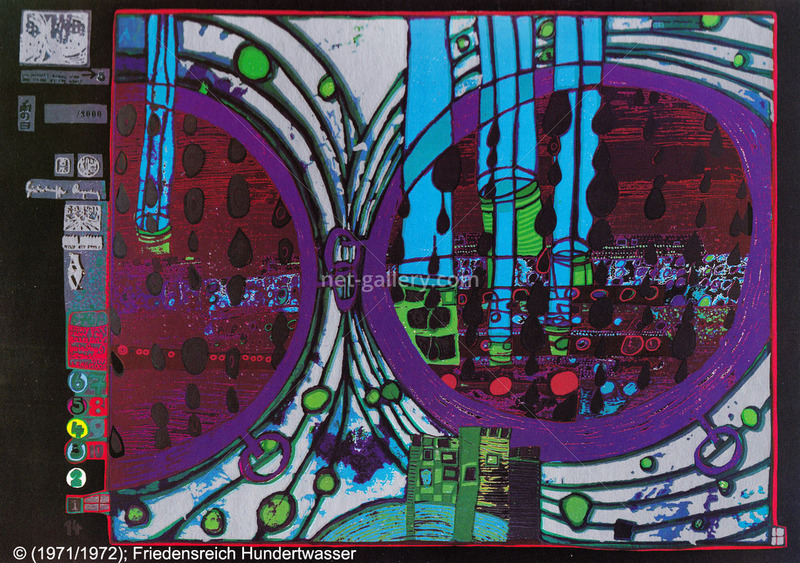 You want to purchase A rainy day on the Regentag HWG48 created by Friedensreich Hundertwasser?